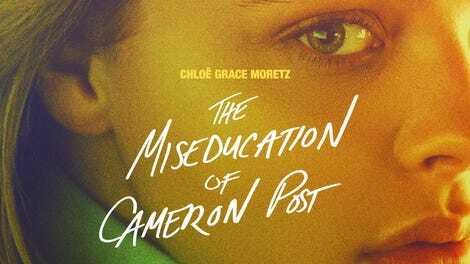 It doesn’t take long for The Miseducation Of Cameron Post to fulfill some of the promise director/co-writer Desiree Akhavan showed in her first feature, Appropriate Behavior. Miseducation, this year’s winner of the U.S. Grand Jury drama prize at Sundance, introduces its teenage title character (Chloë Grace Moretz) having a rendezvous with her secret girlfriend, Coley (Quinn Shephard), then moves with great fluidity to their prom-night parking-lot tryst, the discovery of their relationship, and Cameron’s subsequent enrollment in a new “school” that’s actually a gay-conversion camp. Throughout this sequence of events, Akhavan takes on some of the most thankless tasks in movies—exposition and setup—and makes it not just palatable but actively involving, right down to the early-’90s period details like Cameron’s alt-rock cassettes (banned at her new school, naturally). Akhavan trusts her audience to follow along without narration, speeches, or, say, awkwardly over-explanatory dialogue about how Cameron’s guardian is her aunt because her parents are dead. It’s this cosmic injustice that ultimately sends Cameron to God’s Promise, while Coley faces far less severe punishment. (Further salting the wounds, Cameron later learns that Coley is not exactly holding a torch for their forbidden love.) That Cameron’s aunt can pull her out of public school and send her off to a sketchily credentialed institution falling somewhere between juvenile detention and mismanaged summer camp illustrates the capriciousness of how some kids can end up in this situation. At the same time, Cameron’s intractable aunt feels like an odd narrative shortcut, downplaying the heartbreak of one’s own parents having such a cruel, misguided reaction to their child coming out. Settling in to her drab new life, Cameron buddies up with other students like Jane Fonda (Sasha Lane from American Honey), whose parents were hippie enough to name her after the actress/activist but not understanding enough to spare her from this hell, and Adam Red Eagle (Forrest Goodluck), whose father sees his son’s sexual orientation as a liability. She also befriends her roommate, Erin (Emily Skeggs, from Broadway’s Fun Home), a relationship that amusingly fumbles into more physical territory; in an article of great faith or, more likely, foolish self-confidence, the administrators pair lonely kids with emerging sexualities in residential rooms together and expect them not to hook up. Still, many students attempt to play along. Despite her attraction to Cameron, Erin so earnestly attempts to acquiesce to the school’s anti-homosexuality teachings that she feigns a crush on Reverend Rick March (John Gallagher Jr.). Rick himself is “formerly” gay, and runs the school with his sister, Dr. Lydia March (Jennifer Ehle), playing the sorta-good cop to her stricter bad cop. Gallagher flips the empathy he showed in his superficially similar Short Term 12 role, here playing someone who truly believes he has been saved, rather than oppressed, blinding him to the damage he’s doing to others in his situation. He makes relaxed friendliness downright chilling. Akhavan’s introductions are both graceful and efficient, and she teases plenty of rueful humor out of a dire situation. But once the movie settles into the camp’s routines of therapy sessions, bed checks, and clunky imitations of a real high school curriculum, it stagnates a little. These characters are confined, and the screenplay by Akhavan and Cecilia Frugiuele (based on Emily Danforth’s novel) doesn’t exactly figure out how to generate story momentum from that confinement. The revelation that Rick and Lydia don’t have the faintest goddamn idea what they’re doing in terms of nurturing kids going through a process of self-discovery isn’t enough on its own to sustain a movie that understands their inherent flaws long before Cameron starts to point them out in sessions with Lydia, following a school tragedy. Cameron isn’t slow on the uptake, but she isn’t especially interesting, either. Moretz, while convincing enough in balancing Cameron’s fear, confusion, and sense of self, hasn’t shaken her eerie kid-actor poise, perhaps exacerbated by the fact that she’s now an experienced performer in her 20s trying to recede into adolescent gawkiness. She needs and receives a lot of support from the ensemble, even if, say, Lane’s Jane Fonda feels more like a charismatic attitude than a fully realized character. This may be by design: Adolescents are not always fully formed people, especially when they’re being specifically trained to un-form their true selves. 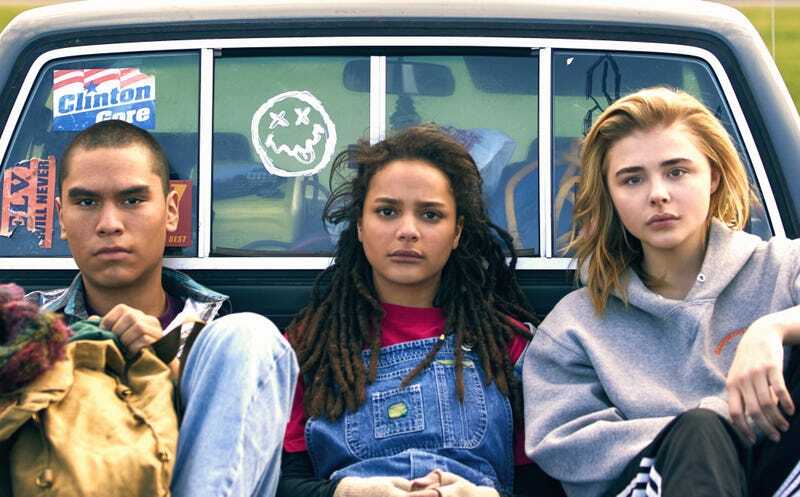 Akhavan’s sensitivity toward her performers and their material carry The Miseducation Of Cameron Post through its mid-movie meandering—and, crucially, the bookends to that meandering are beautifully assured. A great beginning and a great ending can make up for a lot, and Cameron Post’s final scenes move with an unhurried confidence that bring to mind the best of David Gordon Green. It’s telling that the filmmaker captures one of Gallagher’s best moments in a long and relatively uneventful take situated at a breakfast table; this movie may wander, but Akhavan’s attention to perfect little moments is unwavering.